I got two errors at the same time today. One was a warning that the forward collision system may not operate properly and the other was that lane departure system may not function properly. 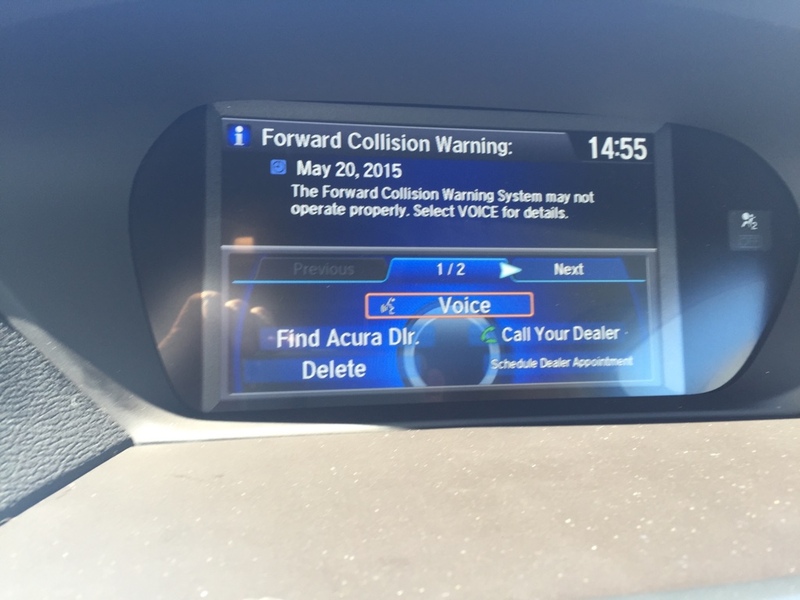 The errors only appeared on the NAV screen and not in the Imid display. I deleted the errors and hopefully they don't come back. I've seen issues/warnings similar to these in other forums which were resolved with a camera replacement. Others still have the errors after multiple trips to the dealer. Fingers crossed. I'll update this post if the errors reappear. Very strange. 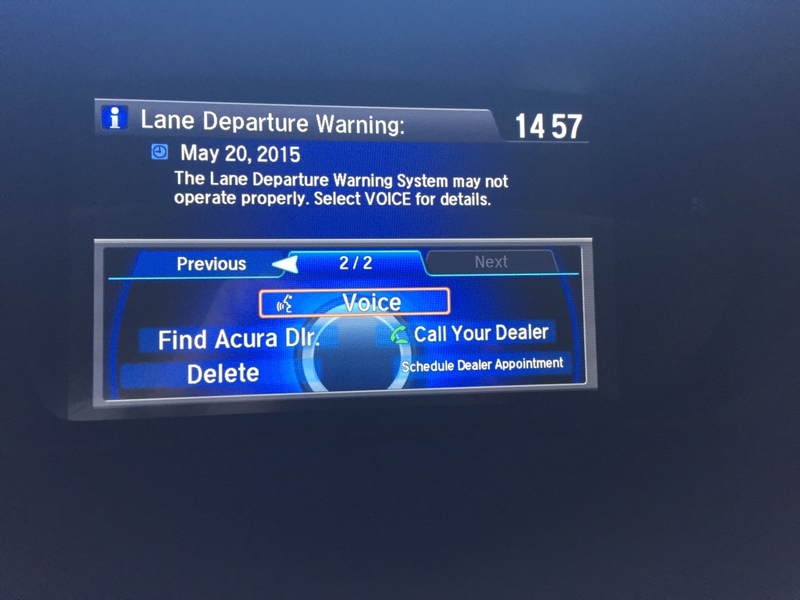 I had one warning (logged in Acuralink messages as well) a few months back on FCAS; this was on start-up in a parking lot. Next engine start cleared the error 3 minutes later, and none since then..
For sure. Hopefully it was a one of. I had just restarted after putting the car in accessory mode by shutting the car off without going to park for the first time. Strange for sure. As an aside - several months ago - i notice the passenger side circular sensor had popped out from the bumper...no apparent reason. I pushed it back in, and its never popped out again. But i think these are the parking proximity sensors, not those used above? Yes. I believe those are parking sensors. Both the systems noted above use the camera at the top of the windshield. Maybe its obstructed? So I did a bit of troubleshooting today. This is the conclusion I came to in my scenario so far. If I shut the car of normally (i.e come to a stop, press the park button, push button to shut off car) I get no errors the next time I start the car. If I go directly to accessory mode (i.e come to a stop, press the off button which goes directly to accessory mode, the car automatically puts itself in Park) the next time I start the car I will get the two errors after about a minute or two of driving. I'll try a few more things tomorrow but this would tell me it's software related and not necessarily a bad camera as I get no errors when I don't go directly to accessory mode. Here are the two errors I got today. Did you select the voice to hear what the message says? In my experience with messages the voice is usually a lot more detail than the text on the screen. I did listen to the voice yesterday. I can't remember the exact phrasing but it pretty well said the system may not work properly. There wasn't much more detail beyond that I don't think. If I get the error again I'll listen to be sure.